Suellen Ocean's "Secret Genealogy" is a "how-­to" genealogical reference book for those who want to trace their ancestry back hundreds, perhaps thousands of years by following historical trails. European and American surnames and history are discussed in a fun manner even though the book weaves through the serious topics of the Inquisition, the Diaspora, Slave Trading and Secret Societies. The companion how-­to guide to the hit TV series-­with advice for anyone starting their own genealogical search. 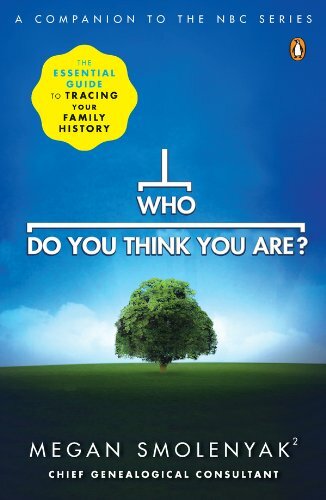 In the groundbreaking NBC series Who Do You Think You Are? seven celebrities-­Sarah Jessica Parker, Emmitt Smith, Lisa Kudrow, Matthew Broderick, Brooke Shields, Susan Sarandon, and Spike Lee-­went on an emotional journey to trace their family history and discover who they really are, and millions of viewers caught the genealogy bug. With the official companion guide, anyone can learn how to chart their family's unique path. Featuring step-­by-­step instructions from Megan Smolenyak2, one of America's top genealogical researchers, this book offers everything readers need to know to start the journey into their past, from digging through old photos, to finding the best online resources. (This edition does not include illustrations.­)Covering all access levels, from the new beginner to the more experienced researcher, the Encyclopedia of Genealogy is a comprehensive master class in solving the mysteries of your personal heritage.­Beginning with advice on the very first steps, before providing a detailed explanation of the range of sources you will encounter when trying to flesh out your ancestor's lives.­The Encyclopedia is divided into sections, each a fascinating standalone reference article so that you can easily pick and mix the relevant information according to the route your journey through your family history takes you.­The Encyclopedia of Genealogy guides you through:­• Getting started, including research planning, sources, how to construct a family tree and working online• Going further, combining historical context (from military history to migration and family secrets) with practical advice on sources• Troubleshooting the most common problems such as common . . .  This book is about people. Many of them are from one English, Devon family, the Waymouths. Most of are of little importance as the world judges importance. Together they tell a 1,­000 year story which is of the essence English. For a generation which has forgotten or never knew its roots, perhaps it will touch some chord. The Pacific Northwest Croatian was a monthly newsletter that ran for seven years. The stories are historic in nature and tell of the early Croatians and their families, especially those working in the commercial fishing sector. There will be as many photos as possible to personalize these stories. I sincerely hope that you will enjoy them. Grey-­Blue Water traces the life of John Douglas Taylor, the son of a wealthy Southern gentleman, from his childhood on a Tennessee plantation, to his adventures in the newly-­formed Republic of Texas, and later to his time as a riverboat captain on the Mississippi. Author Daniel Mabrey Taylor has based his novel on true accounts taken from family letters, journals, and other historical documents. If you explore our churchyards and cemeteries, you will be astonished at how much you can discover, not only about the people who are buried there and their standing in the local community but also about the history of the area. In this book, Trevor Yorke explains burial practices down the ages and details the development of the churchyard and the cemetery. He looks at the period styles of gravestones and tombs, and the shapes and features that help to date them. Using a wide range of photographs and line illustrations, he examines the carvings and symbols that can be found and offers clues to their possible meanings. Where do we come from? This book proposes to solve this age old question for 82 family surnames. Author Anthony Murphy Barrett takes the latest DNA results of one recently “found” British Isles tribe to put science and history together to present a stunning revelation of a tribal history not told for a thousand years. Author: Shirley R. (Berry) Butler-­Derge Ph.­D. Forty years ago, thousands of Milwaukee residents marched for equal rights to join and participate in local organizations, receive equal and appropriate educational resources for their children, and live where they wanted. Thus, the purpose of the book, Asante Sana, Thank You Father James E. Groppi is to commemorate and honor the Father James E. Groppi and the Milwaukee NAACP Youth Council/Commandos who unselfishly put their lives on line and made a significant difference in making Milwaukees history one that changed the livelihood for all living beings. Specifically, in the book: Asante Sana, Thank You Father James E. Groppi, the author, who was one of the original founders of the Milwaukee NAACP Youth Council in 1964, poetically responds to some of the famous quotes of Father Groppi and the Milwaukee NAACP Youth Council members while they experienced life- threatening issues with racial discrimination in Milwaukee during the 1960s. (Asante Sana, “Thank You” Father James E. . . .